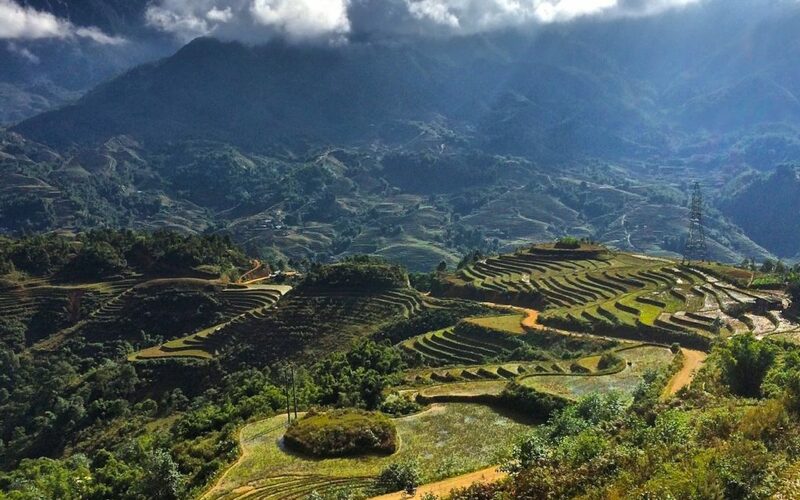 To explore Ta Phin village, it is recommended for travelers to spend one day strolling up and down 12 kilometers of hilly terrain from Sapa to Ta Phin where H’Mong and Red Dao minorities live. They will see them working in their terraced paddy fields and traveling back and forth from the market to their homes. More than half way to Ta Phin is an old French monastery on the left. The monastery is a structure of ruins that has been deserted for more than half a century. There, the seminary stands quietly amidst a garden of green artichoke plants and grass perched on the side of a small windy hill. The remains are stone pillars and walls covered with moss that remind visitors of the building’s glory in the past. Although the ruined building has been deserted for years, it is certainly a place of great interest for those who want to look into old French architecture and the history of a village. 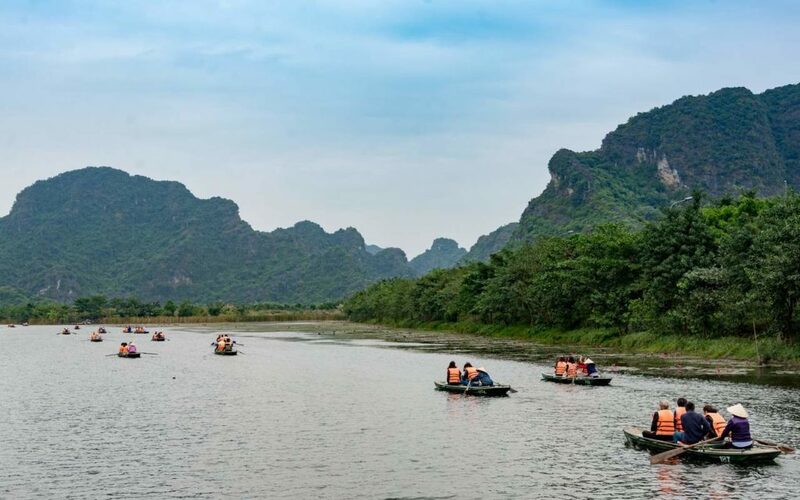 Travel to Ta Phin, at the far end of Ta Phin Village is a little-known cave. This is an old cave but not known to most strangers. If you have time, children will switch on torch lights to show you the way in, and you can then pay a boy around VND20,000 (some US$1.25) for a tour of the cave. There are stalactites of many shapes, and the boy will shine the torch on different figures that will tweak your imagination. 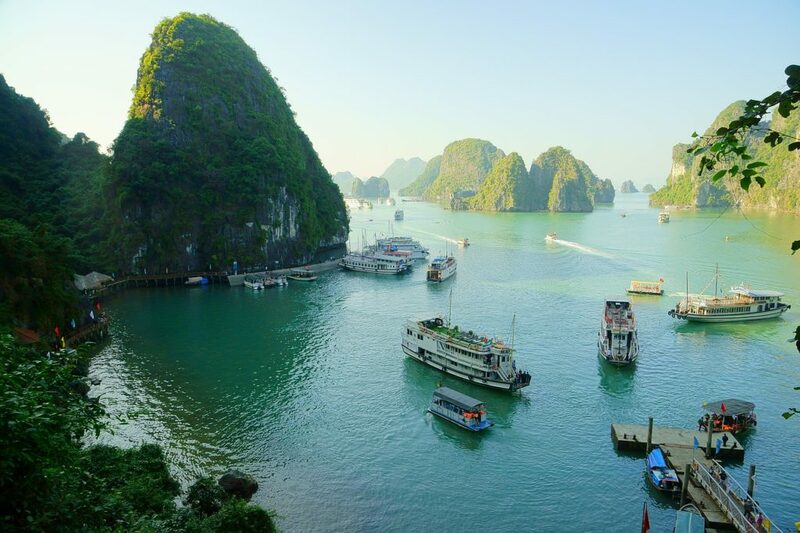 However, these stalactites do not shine magically and colorfully as they do in the caves of Halong Bay in northern Vietnam or the national park Phong Nha-Ke Bang in central Vietnam. Moreover, installed electric lights are turned on when there are visitors. Ta Phin, like caves in other parts of Vietnam, the winding passageway inside Ta Phin Cave is not large enough in some sections toward the end for larger people to pass through. So big westerners are advised not to go further, otherwise it would be difficult for them to get back. Old carvings remain on boulders and stones along the way around the hilltribe village, and locals will show you where to find them. Local children and adults can communicate in English and French so do not hesitate to ask them for help. As Ta Phin is a tourist village, many of the local children and adults follow visitors to advertise and persuade them to purchase their bags, wallets, clothes and other merchandise made of tho cam (ethnic fabric). A first-time visitor might be frightened by their insistent following but they are very friendly when you talk with them. Some of the locals invite visitors to go to their homes to show how they live and what they have, and tell them about their families. On following them to their houses, you will find out how simply they live. Try to remember to buy the merchandise you like from them as tips for what they have shown you. 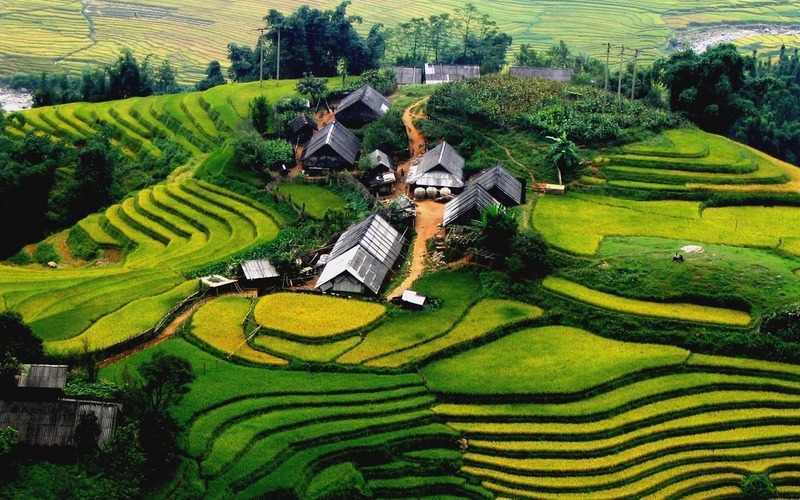 Travel to Ta Phin (near Sapa), bring your camera along as the ethnic children and adults are willing to have their pictures taken or be filmed with you when you leave their houses. , traditional houses of the ethnic people and their making of embroideries as well as other attractions on the way to the village.